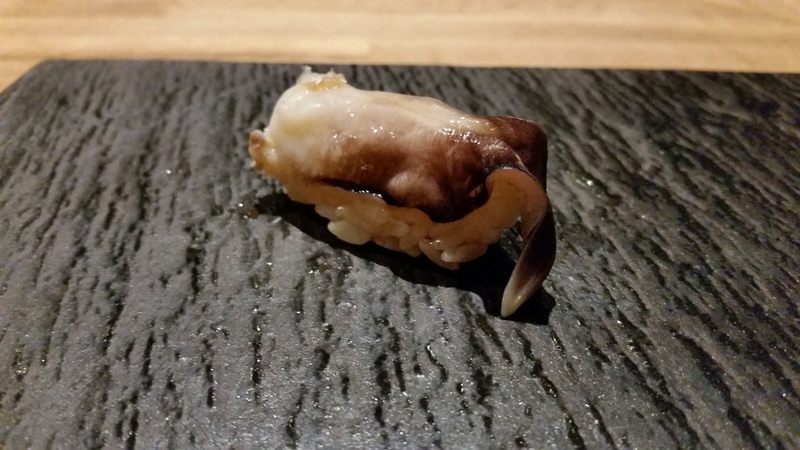 I’ve always been curious about an authentic omakase experience but I’ve never really gotten the chance to try one. Thankfully, a good friend of mine suggested to celebrate her birthday this year at Minamishima. 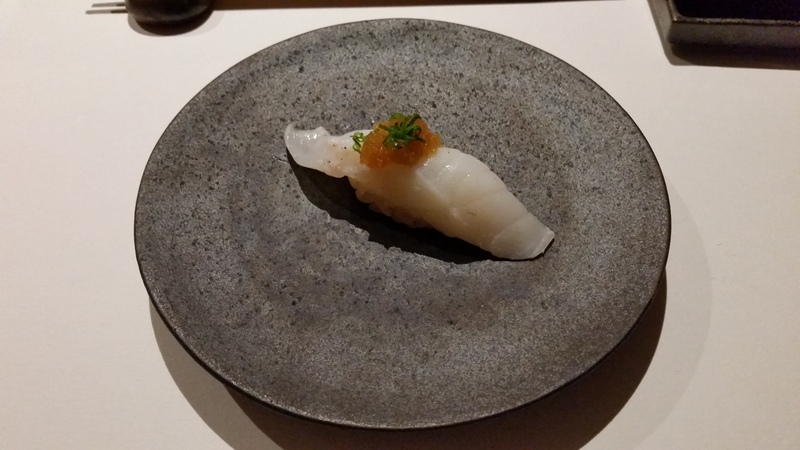 I immensely enjoyed my 15 course omakase experience at Minamishima, it was truly divine. 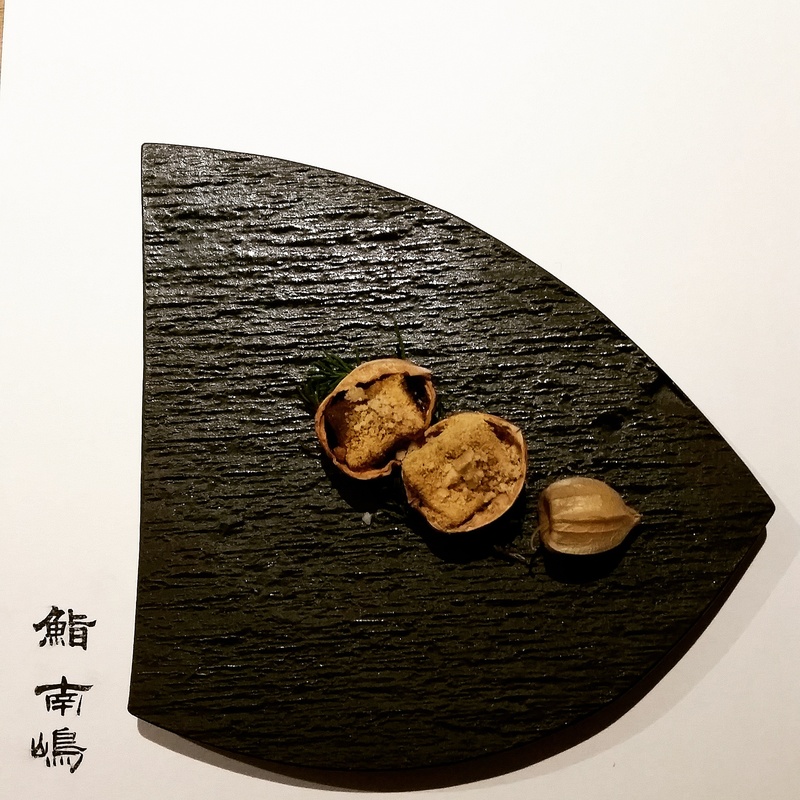 We were first served an entrée, followed by 15 pieces of nigiris presented one by one by Chef Koichi Minamishima and then finished off with some broth and dessert. 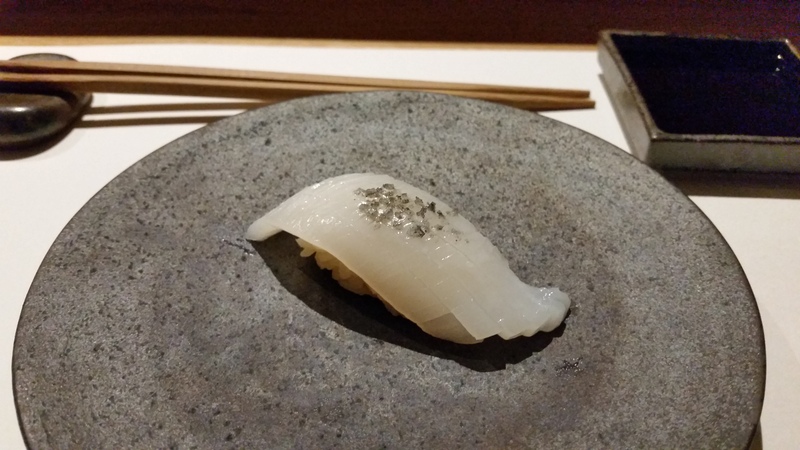 Little had I known an omakase experience was like following the chef’s culinary storytelling of the ocean. Every piece tasted different and with 15 of them in total, you’re bound to taste some quite peculiar but extraordinary seafood! 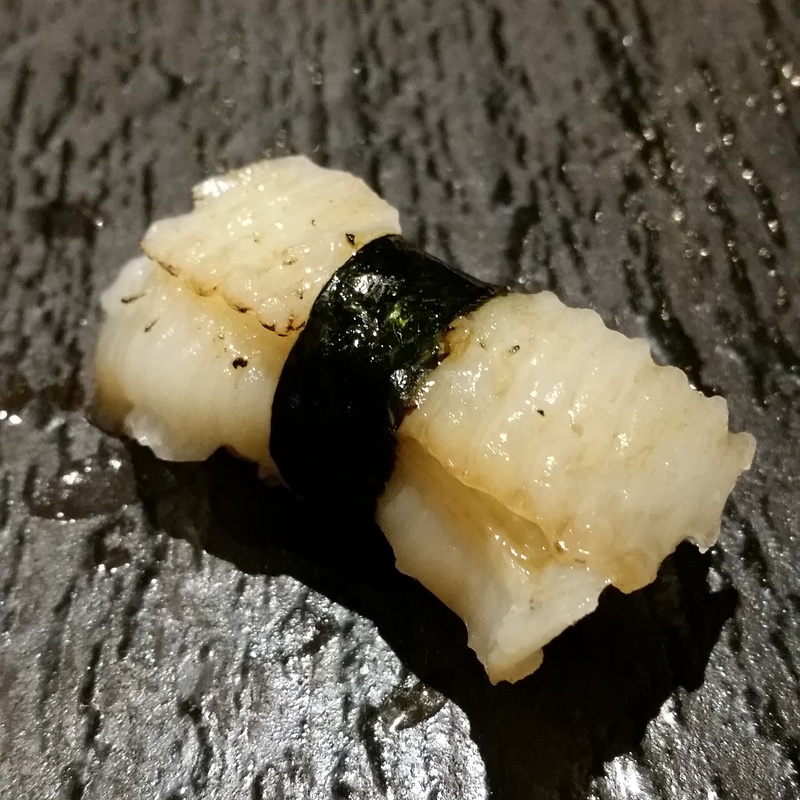 Each piece had the perfect fish-to-rice ratio, with delicate pieces of fish draped across the sushi. 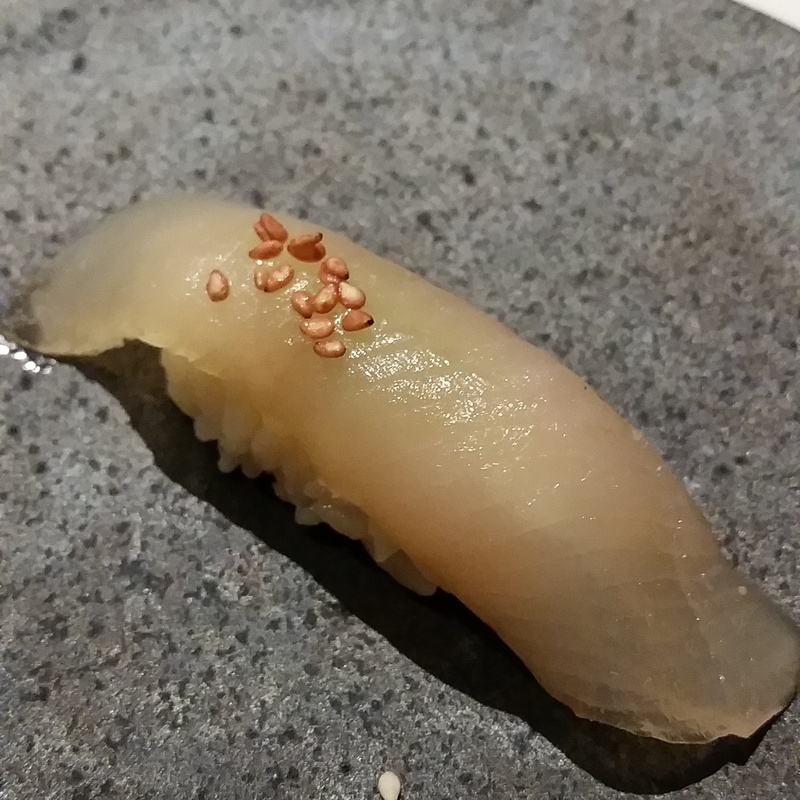 The nigiri sequence put together by Chef Koichi Minamishima was on point. We started off with mild flavoured white fish nigiris, followed by more flavourful red fish nigiris and ended with those that were lightly marinated and grilled. I didn’t know there is such a big range to the flavours of fish and seafood. Please let me apologise first before you scroll further, I forgot to pack my camera so I could only post pictures taken from my phone’s camera! 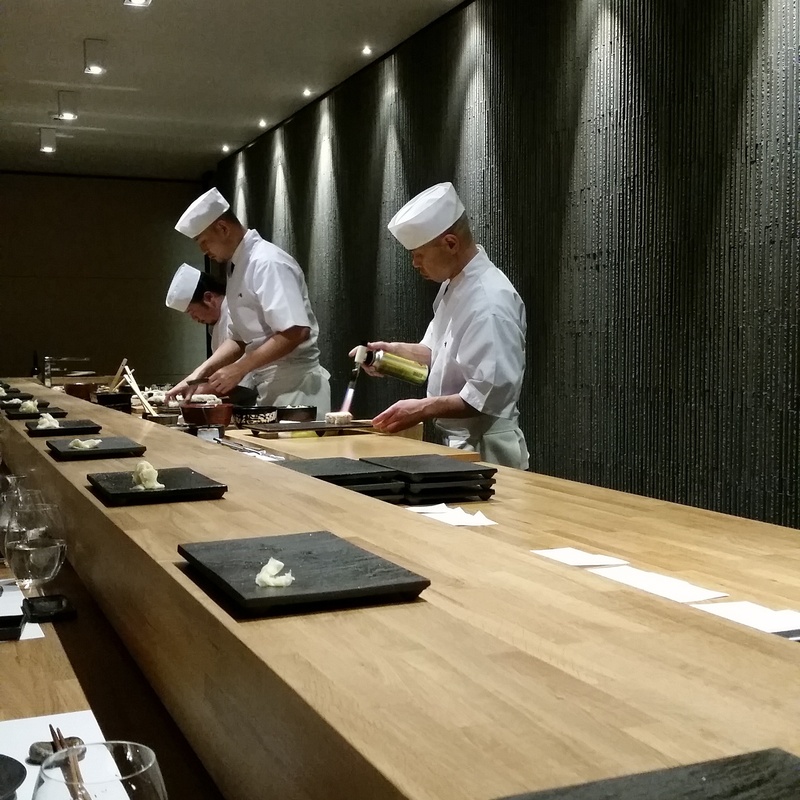 I hope you will still be able to imagine how great the omakase experience was through those blurry pictures. 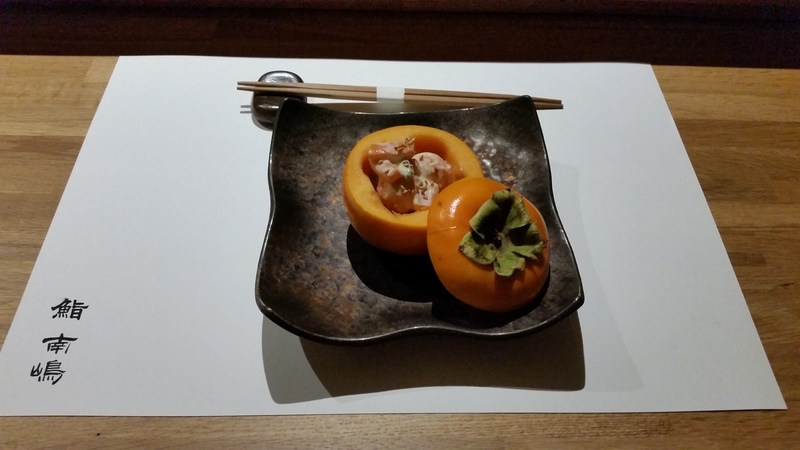 First, we had persimmon salad for our entree. I loved the adorable plating! 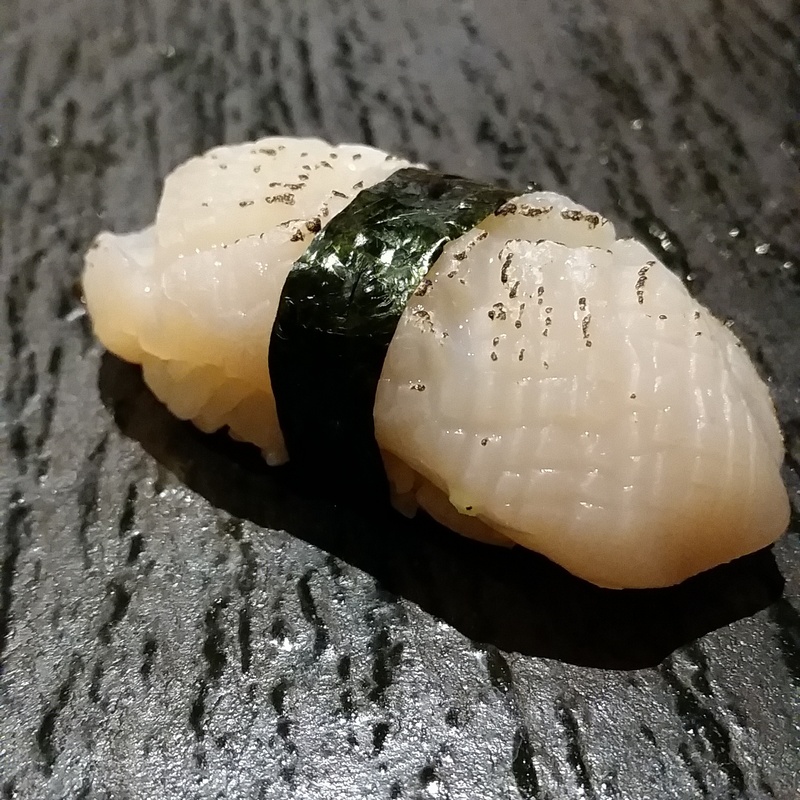 Our first nigiri course, white fish. I know, that name! However, I’m positive we had not misheard! Second course, king dory. The fish flavour was mild and it had a firm texture. Third course, seabass. It was creamy and sweet, and it paired well with the topping. Fourth course, squid. The chef displayed excellent knife skills, look how well the squid was scored. Fifth course, scampi. 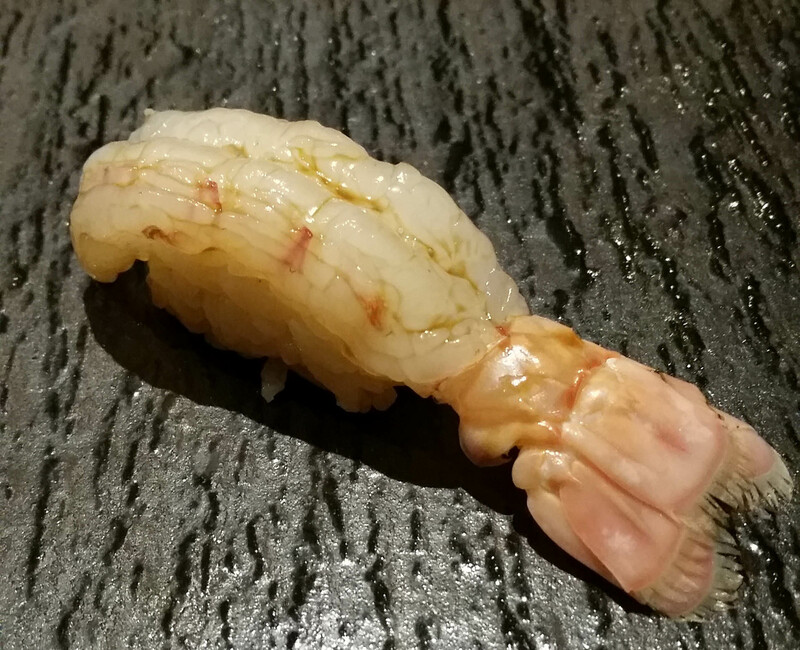 This was one of the sweetest, freshest and most succulent scampi sashimi I’ve ever tasted. Sixth course, scallop. This scallop was lightly seared, which I thought was a really good way to bring out the natural flavour of the scallop. 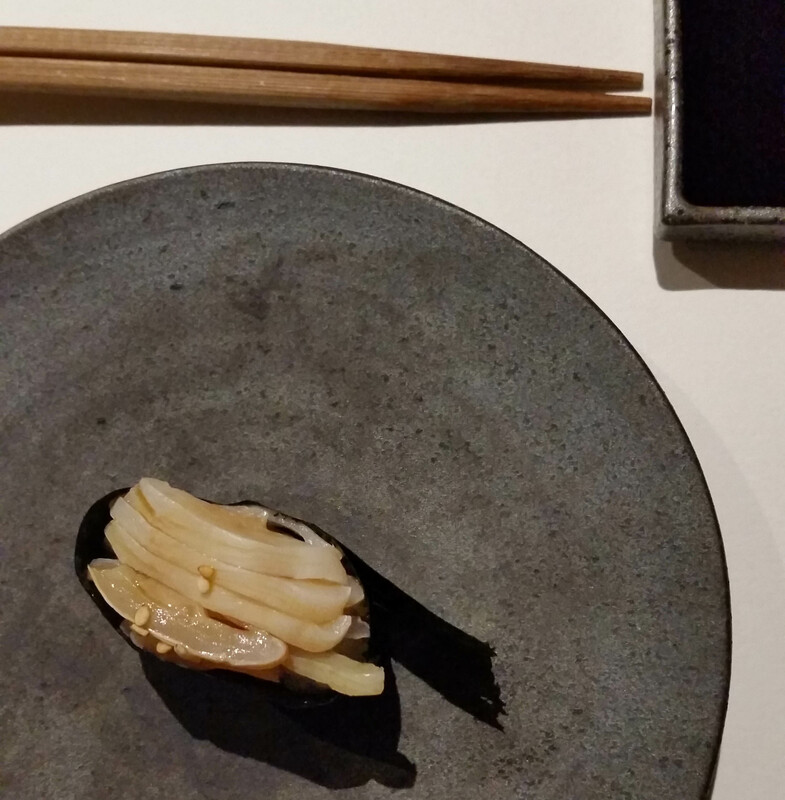 Seventh course, mirugai or Japanese geoduck. I’m so sorry for the rather odd-looking photo, I was trying to be artistic! LOL. Geoduck is a type of saltwater clam and it has a very chewy texture and so it is typically sliced thinly (as pictured). It tasted quite peculiar, in a good way if you’re adventurous with seafood! 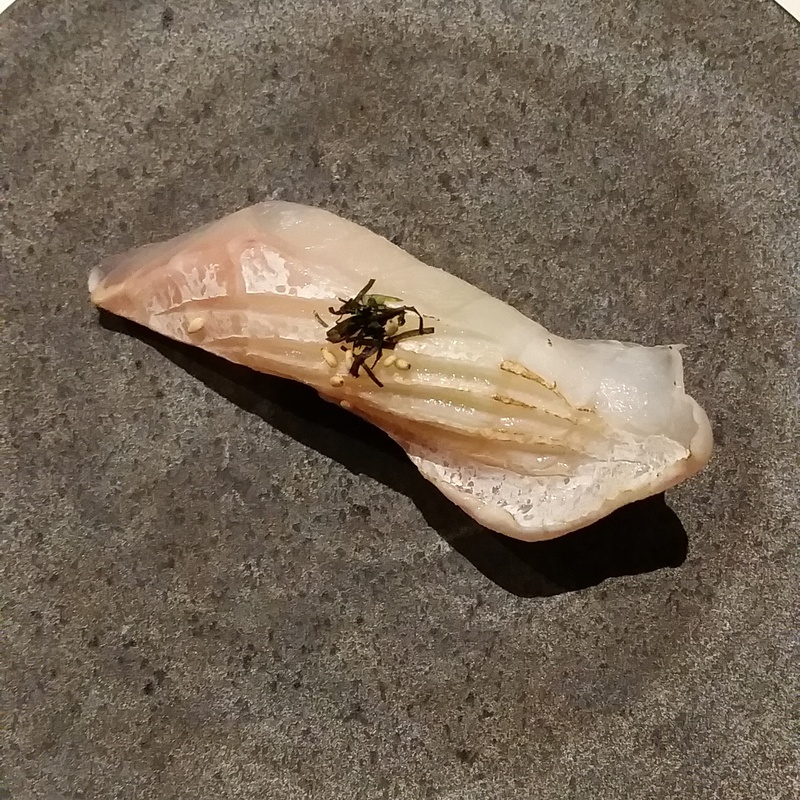 Eighth course, torigai or japanese cockle. This was another seafood with chewy texture and ocean-like flavour. Ninth course, flounder fin. This was my absolute favourite! Simply DIVINE. 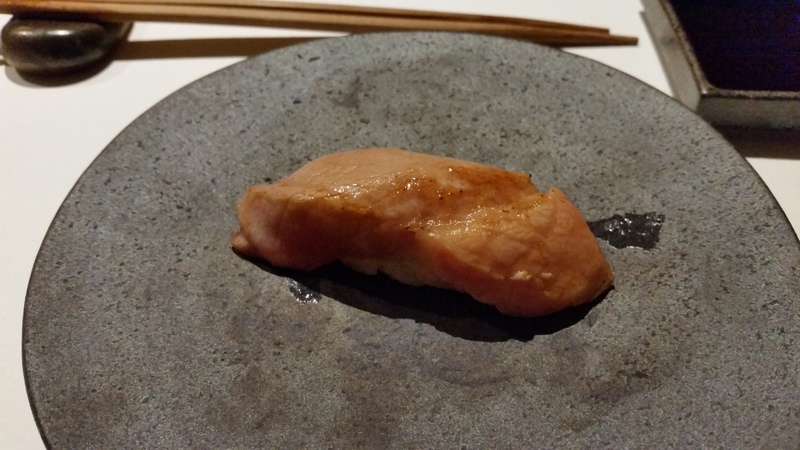 It was lightly charred and the fish fat simply melted in my mouth leaving the rich flavour lingering on my taste buds. There was plenty of time between courses to discuss the flavours and our individual preferences. I didn’t feel hurried and definitely has sufficient time to appreciate one course before the other. 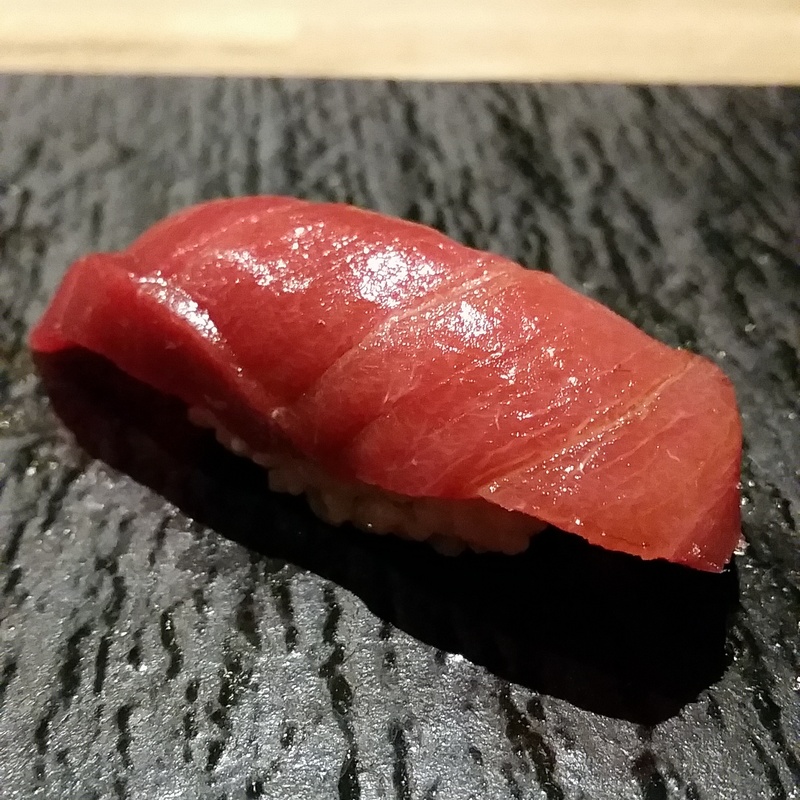 Tenth course, otoro (tuna belly). It was very well marbled, every bite was creamy and buttery. Eleventh course, yellowfin tuna. This was more firm than the tuna belly and I liked how vibrant it looked. Twelfth course, seared tuna belly. I prefer the tuna belly to be slightly seared because it gave the melt-in-your-mouth effect from the high fat content and it certainly added delectable smoky flavour to the fish! 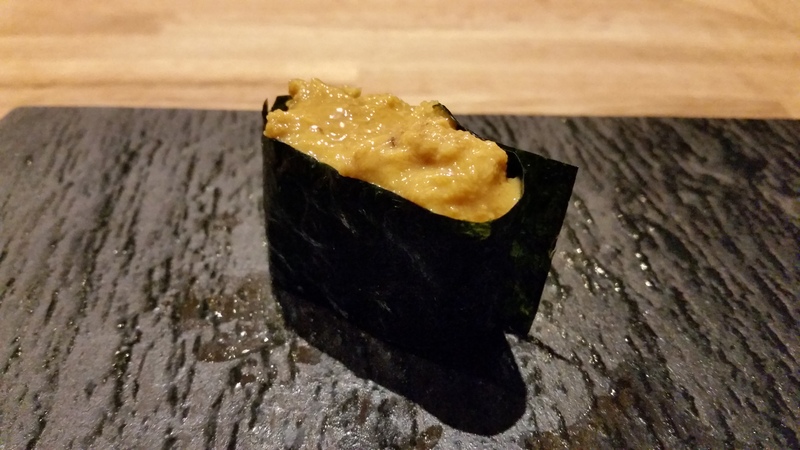 Thirteenth course, sea urchin. It was more fishy than the other courses, not my cup of tea unfortunately! 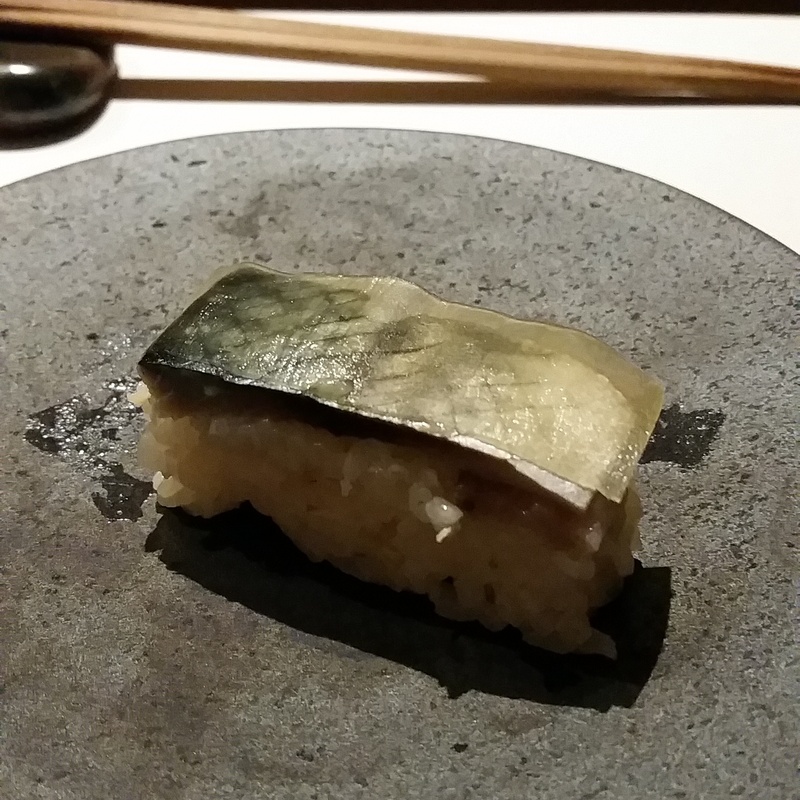 Fourteenth course, mackerel with kelp. By now the fish had stronger fish flavour but the kelp balanced off the fishy taste. Fifteenth course, unagi. 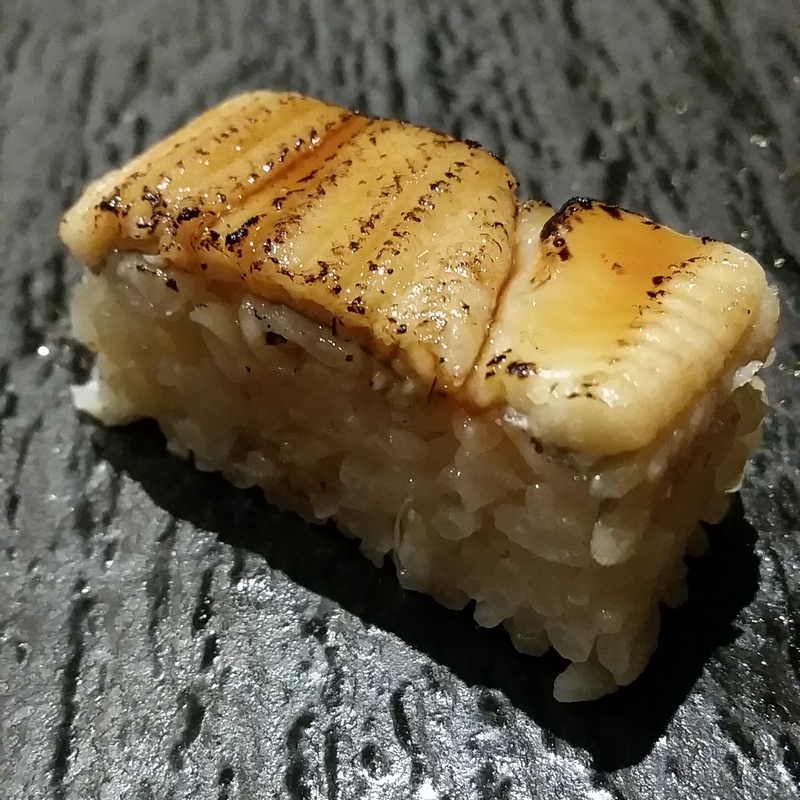 I liked how the sauce was really light, I could still taste the sweetness from the eel itself and not just from the sauce. 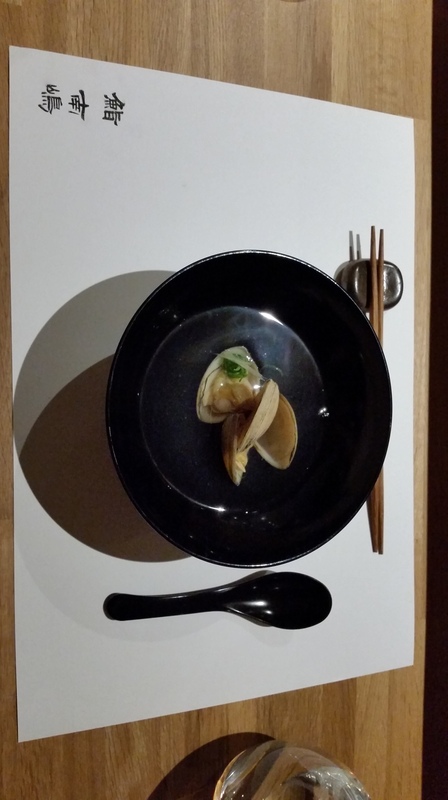 We were served a bowl of clam broth to cleanse our taste palate for dessert. And the finale! Wagashi for dessert, plated artistically. Me: Hi, are you Mr Minami? 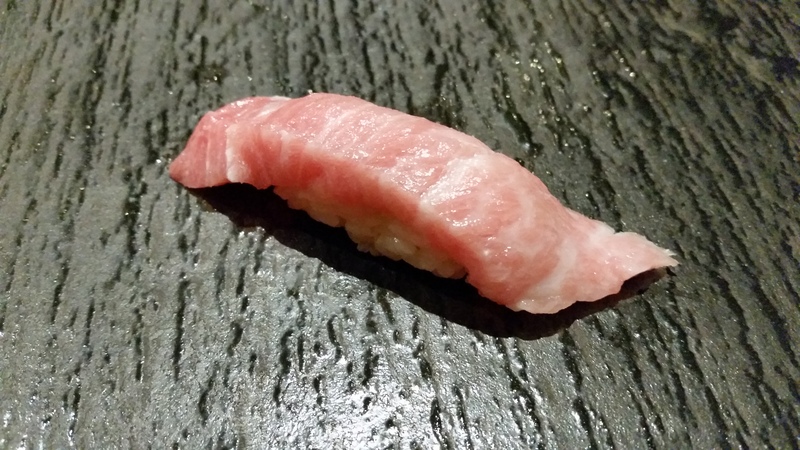 Chef (paused, smiled politely and said): … Shima. Me: Oh, sorry Mr Shima! Me: Wow, that’s long! I thought your first name was Minami and surname was Shima! Despite the slightly embarrassing end to the meal, I’m sure the chef wouldn’t remember me so that will not stop me from returning…. to this delectable omakase experience!